Click below to buy! It’s fun! A double rainbow doesn’t have gold at the end of it. 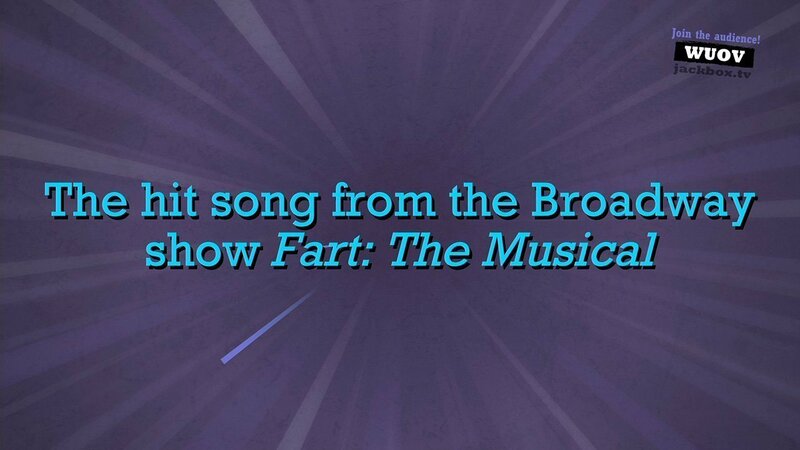 Instead, it has ______. 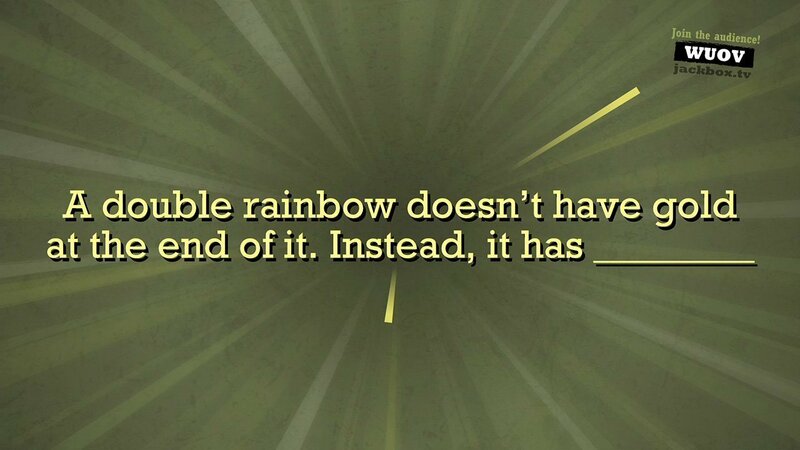 There are no rules or correct answers. You just say whatever you want! 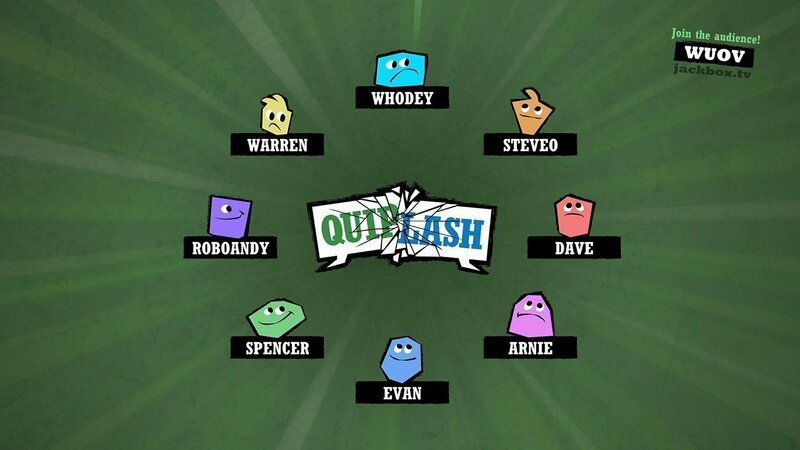 Your answer will be pitted against another player’s answer in a head-to-head battle. 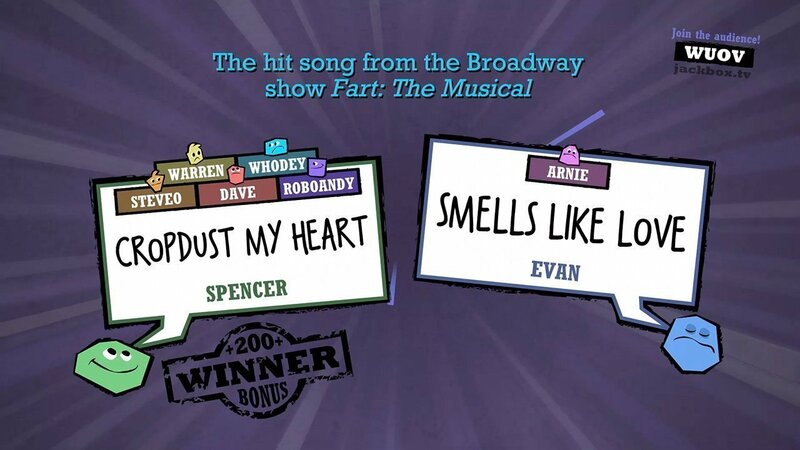 Other players – and even an audience of up to 10,000 people – then vote on their favorite answer. It’s that simple. 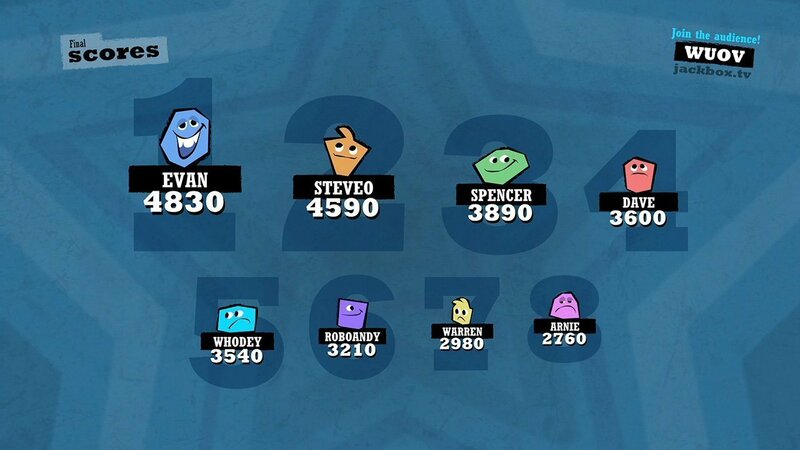 And yes, you read that right: while the game is for 3-8 players, it supports up to 10,000 active participants in the Audience, all of whom have the ability to affect the vote! More than 8 people at your party? Nobody has to sit out. Playing on a stream? Your viewers can join in and participate in the game. 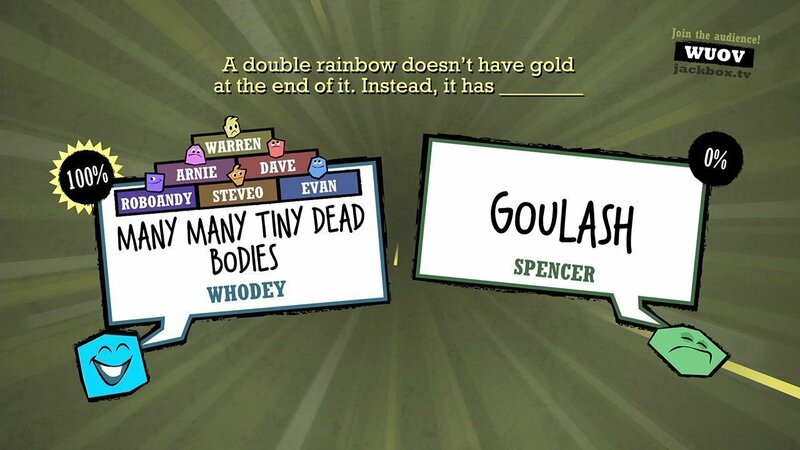 You’ll know you’re playing Quiplash when you type something like “unicorn farts” on your phone, and it carries you to victory! Available on PlayStation 4, PlayStation 3, Xbox One, Steam, and Amazon Fire TV. 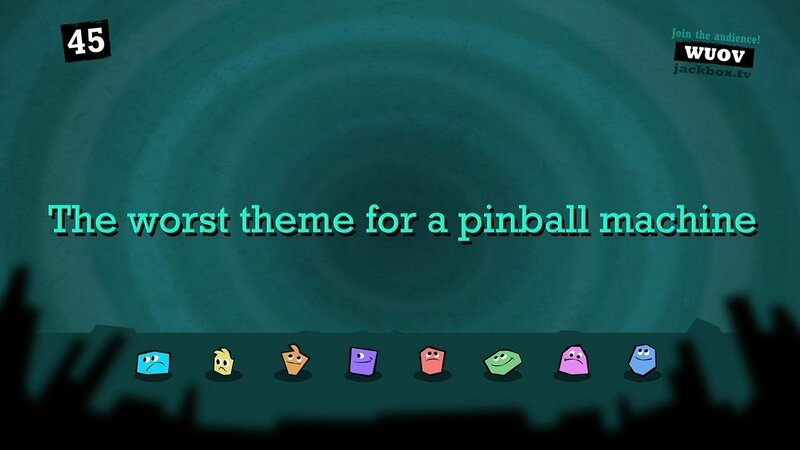 Thank you to all of our Kickstarter backers for making this game happen! 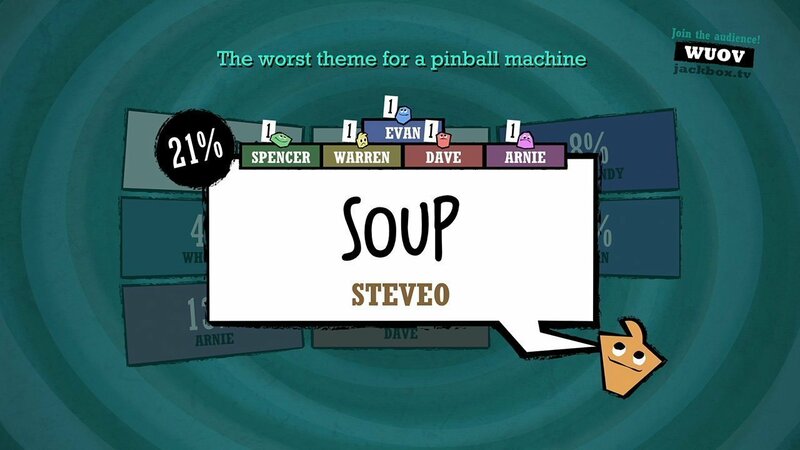 Get even more Quiplash in The Jackbox Party Pack 2. 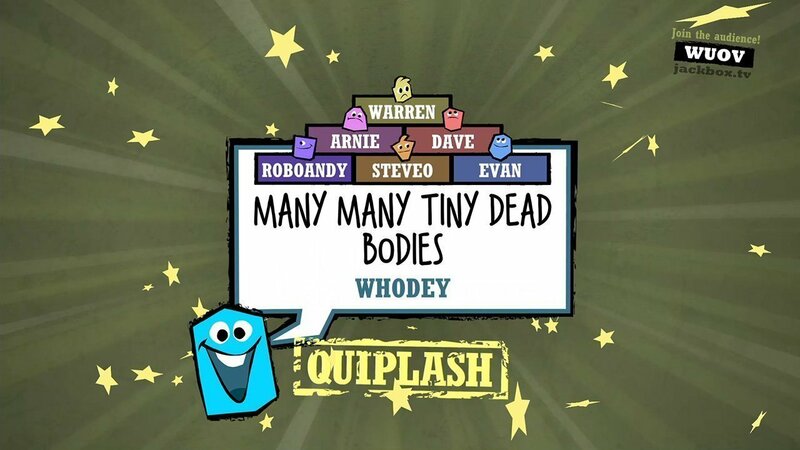 Hungry for more Quiplash? 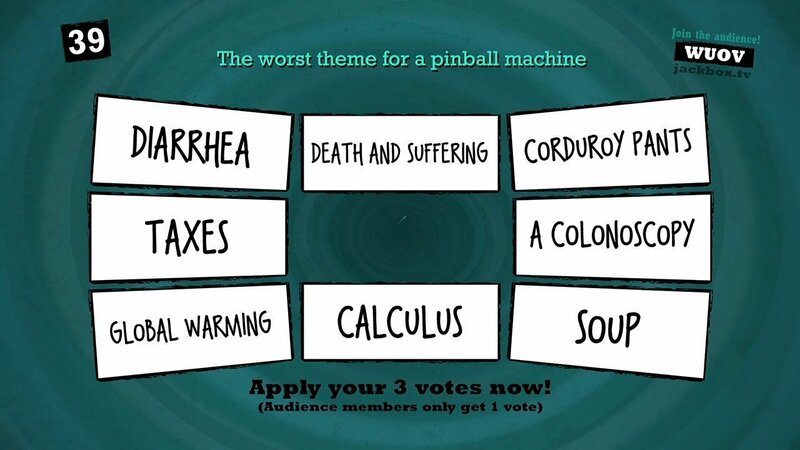 Get Quiplash 2 in The Jackbox Party Pack 3!